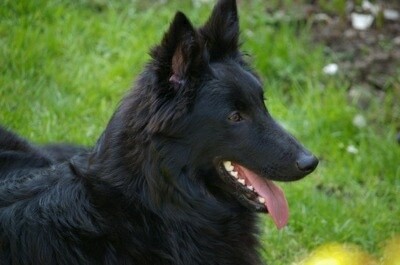 The body of the Belgian Sheepdog is well muscled, with tight skin and a squarely proportioned body. The overall size of the head should be in proportion with the body. The top of the skull is flattened rather than rounded. The muzzle is moderately pointed with a moderate stop. The lips should be tight. The dog's bite should be either even or scissors. The medium sized, almond-shaped eyes are brown. The erect ears are triangle in shape and in proportion to the head. The legs are parallel, straight and strong. The feathered tail is strong at the base with the tailbone reaching the hock. The dewclaws are usually removed. The feet are cat-like in shape. The weather-resistant coat is moderately long, with a ruff of fur around the neck and extra feathering on the legs, tail and underneath the body. The coat color is black, either solid or with a small amount of white on the chest, chin or toes. 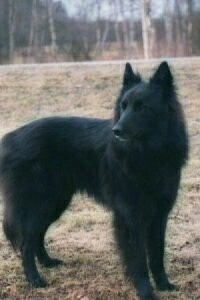 The Belgian Shepherd/Groenendael is the most popular of the four Belgian sheepdogs. It is a very bright and obedient dog, determined and observant with strong protective and territorial instincts. This breed needs extensive socialization, preferably from an early age, to prevent it from becoming shy or sensitive. 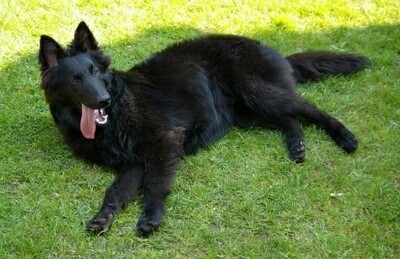 Belgian Shepherds need an experienced master who is firm, but not heavy handed. If you are harsh or overbearing they will become uncooperative. Owners need to display a confident, natural authority over the dog. Consistent rules must be set and made clear. This breed is instinctively protective so it should be trained and socialized very well from an early age. Puppies should be socialized right from birth. Good for working and competition obedience. These dogs make excellent police and guard dogs. This type of work is currently their main occupation. They do however, make excellent pets if they have owners who can challenge their minds with an air of leadership. They are ever watchful, alert and loyal. 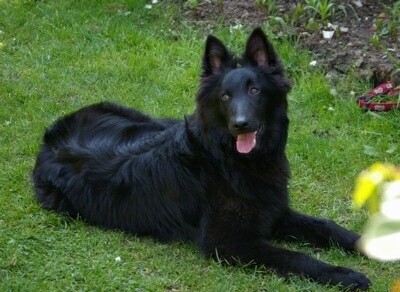 Belgian Sheepdogs are good with children if socialized well with them. This breed needs to be part of the family and not locked up in a kennel. They need leadership, daily exercise along with training and companionship, for without it they may become destructive and hard to handle. 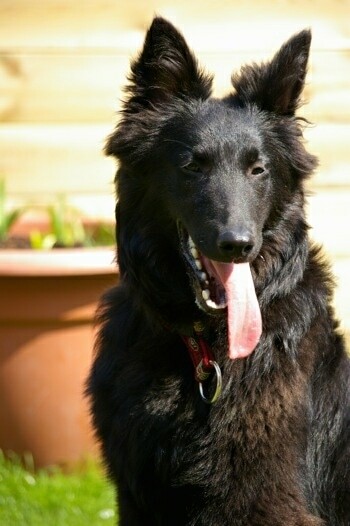 The Belgian Shepherd is high energy, with a high mental capacity, and is quick to comprehend. They need a job to do, especially if you are dealing with working lines. Take care when introducing this dog with small non-canine pets. They can be rather dominant toward other dogs and need an owner who can communicate to the dog that dominance is an unwanted behavior. Provided they are correctly socialized with cats and other pets, they should not present any problems. 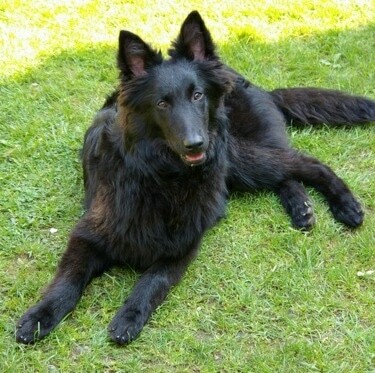 This Belgian Sheepdog may instinctively display herding behavior such as chasing and circling, moving effortlessly for hours and nipping at people's heels. They must be taught not to do this to people. This is a very demanding dog that is becoming more and more popular. It needs an experienced owner for it can easily be difficult to control unless the owner knows how to handle him. The way the owner handles the dog can produce wide differences in temperament and aggressiveness. Talk to someone experienced with the breed before you buy your dog. These dogs are often impressive; don't base your purchase solely on achievement records and appearances. Only adopt this type of dog if you fully understand what it means to be alpha. This hardy, healthy breed has no major health concerns. Some minor concerns that have been seen are epilepsy, skin allergies, eye problems, excessive shyness, excessive aggressiveness and occasionally hip dysplasia and elbow dysplasia. Do not overfeed this breed, for it has a tendency to become obese and lazy. 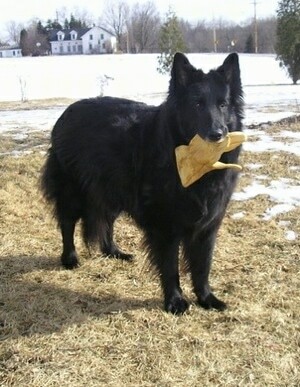 The Belgian Shepherd/Groenendael will do okay in an apartment if it is sufficiently exercised. It is moderately active indoors and will do best with at least an average-sized yard. The Groenendael can sleep outdoors, although he prefers to be with his people. 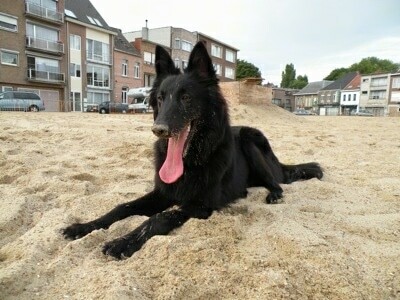 The Belgian Shepherd/Groenendael has a long, straight, medium length, heavy outer coat and a dense undercoat that requires daily combing and brushing. Extra care should be given when the dog is shedding. Clip out mats that form, particularly in the ruff and on the legs, and clip hair from between the toes and on the outer ears. This breed is a seasonal heavy shedder, shedding twice a year with some additional shedding throughout the year. 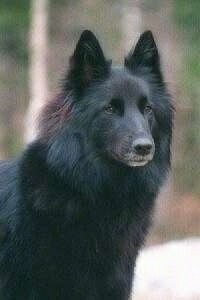 The Belgian Groenendael, as it is called worldwide, is simply called the Belgian Shepherd by the American Kennel Club. It was named after the village of Groenendael in Belgium. 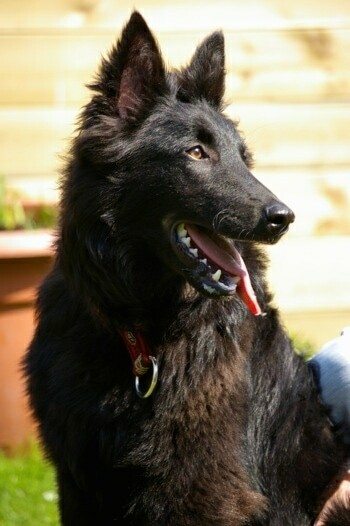 It is one of the four varieties of the Belgian sheepdogs, the Belgian Groenendael, Belgian Malinois, Belgian Tervuren, and the less popular Belgian Laekenois, that all share a common foundation. In most countries and breed clubs all four dogs are considered the same breed with different varieties in coat types. All four dogs share a breed standard in all countries except for the AKC, which since 1959 recognizes them as separate breeds and does not recognize one of the four (the Laekenois), whereas the UKC, which is also a U.S. registry, does recognize all four varieties as one breed. Versatile and highly intelligent, all four varieties of the Belgian sheepdog excel at a variety of talents, including but not limited to, police work such as, narcotics and bomb detection, protection and Schutzhund, search and rescue, also obedience, agility, tracking, herding, sled and cart pulling and as a guide for the blind and assistant to the disabled. These high energy, extremely intelligent dogs need leadership, to be challenged, and well exercised daily and therefore are not for everyone, but can make an excellent family companion with the right owners. The Belgian Malinois was the first of the four sheepdogs to establish type. Until the other four were established in type they were called "Berger Belge a poil court autre que Malinois," which means "Belgian short-coated Sheepdog who is not the Malinois." Today all four sheepdogs are popular in Belgium, with the Laekenois and Malinois more often used as working type dogs than the Belgian Groenendael and Tervuren but all types still making excellent workers. 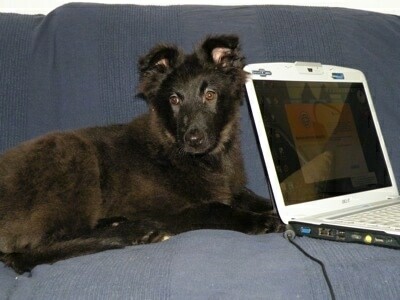 "This is my Belgian Sheepdog, Wildland’s Indiana Jones. Indiana was born October 23,1992 and passed away August 16, 2007. I could not ask for a better companion. She was extremely intelligent, and had a wonderful sense of humor. Playful, friendly and patient, Indiana would make up her own games to play with me. She competed and was titled in Schutzhund, Obedience, Tracking, Agility and Herding. She was pointed in the U.S. and Canada before she developed pyometria and was spayed. She was also a certified Therapy Dog, earned her Temperament Test certificate and her CGC. She also passed a mock Water Dog Excellence test which is for Newfies. Indiana was awarded the Jet Award of Merit for Heroism when she saved me from a would-be attacker." "This dog was amazing. When I was teaching her behaviors, she would always try and never quit. She loved to go for walks with me at the park, chasing Frisbees and swimming. She was an absolutely wonderful swimmer. I could tell her stay while we were in the water and toss her toy. She would fetch it on command, and when she was half way back, I would cue her to lie down. Remember, this water was over her head, so how could she lie down? She would paddle just enough to stay afloat. When I cued her to come, she would swim and come in front of me and then paddle just enough to stay afloat." "Because we competed in different venues of dog sports, we trained a lot and I believe this is why she was extremely well-balanced. I can’t remember her ever being out of control nor suppressed emotionally."